We were given the option this month for an Oxbow product! I go way back to 2007 with my Oxbow experience, and when Chewy says I get to try something of theirs for free, of course I wanted to pick out an item to cheer Murphy up. Murphy is now a single guinea pig. She’s been doing really well since we found and treated her broken incisors last month, and she’s back on her “cookies”. 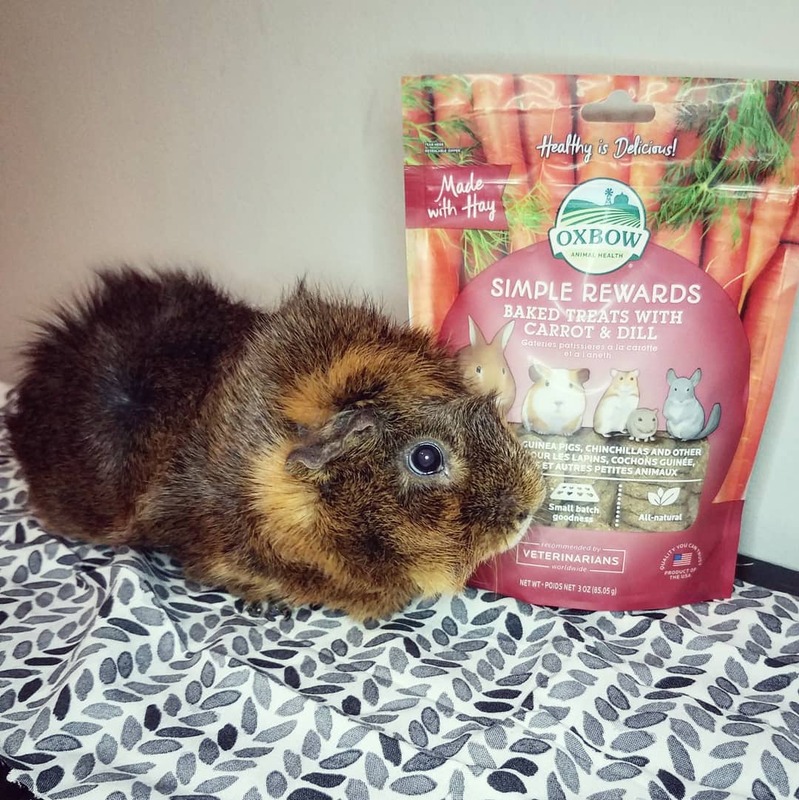 She already has Natural Science (Oxbow) Vitamin C hay tablets, and this month we got her a bag of oven baked Simple Rewards. 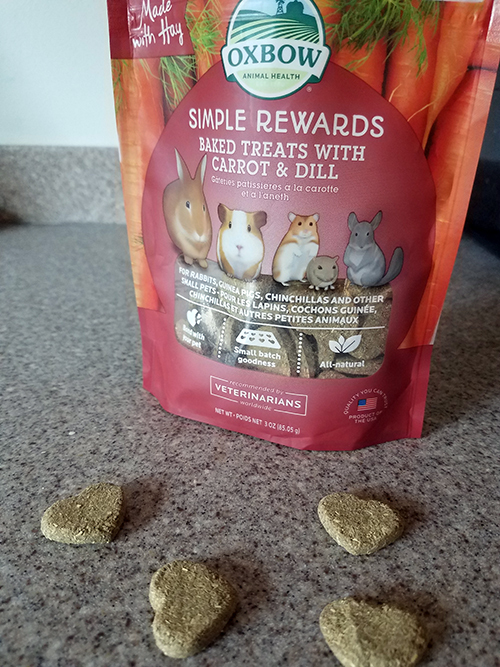 Simple Rewards come in a variety of flavors, and after almost four years of being “Hey, Lady!” I carefully chose the carrot and dill cookies for her. She loves them, but doesn’t love the camera. How did you know I -heart- my Murphy? The #1 ingredient is Timothy Hay. 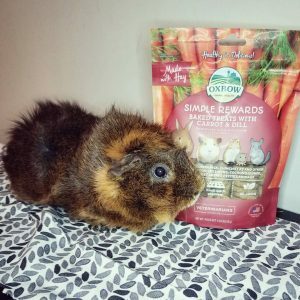 Reward your small pet and support his overall health with Oxbow Simple Rewards Oven Baked with Carrot & Dill Small Animal Treats. Treats are a great way to bond with your pet, encourage interaction and provide healthy, fun mental stimulation. Oxbow Simple Rewards Oven Baked with Carrot & Dill Small Animal Treats are a wholesome, oven-baked blend of freeze-dried carrots and dill that provide a tasty, enriching snack. They are low in calcium and protein with a balanced protein-to-fiber ratio and no artificial color or preservatives. Feed one-to-two treat pieces a day. Treats should not exceed five percent of your pet’s daily food intake. These also qualify for the auto-ship discount on Chewy. Every order $49+ ships in 1-2 days with free shipping.